Say Good Riddance to this dumpster fire of a year. 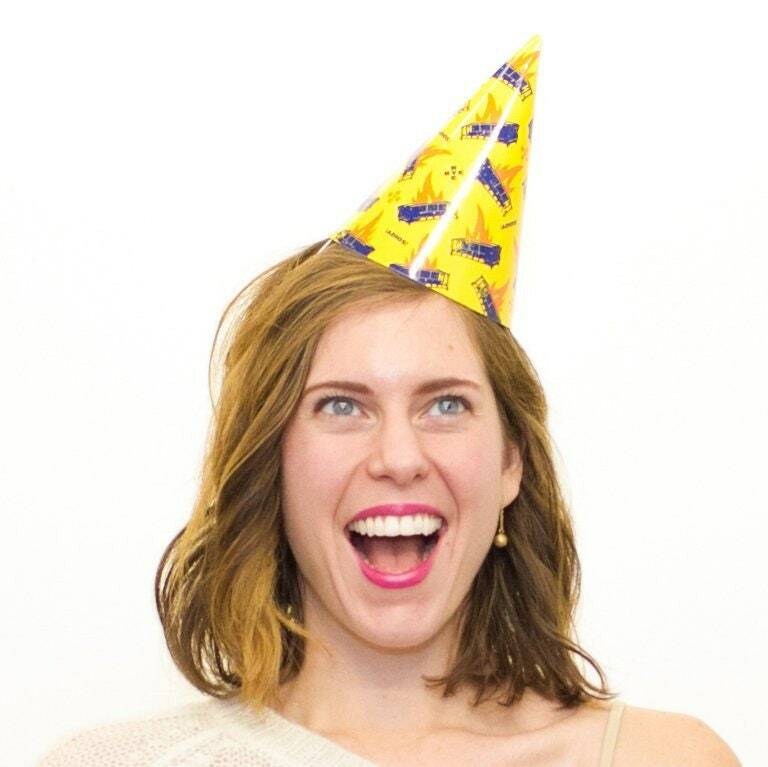 This set contains 10 hats. 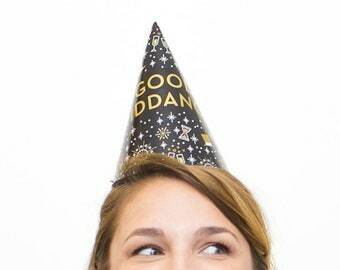 These party hats will light up any New Year's Eve party. Also great for presidential impeachments, birthdays, break ups, or a "congrats on your divorce" party. 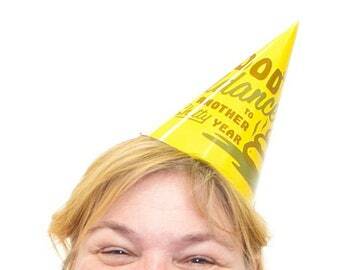 Each party hat is made of sturdy paper board and comes with elastic string attached and easy-to-assemble tab. Ships flat to reduce shipping costs and ensure your order arrives in excellent condition. Just slide the tab through a slot and you're ready to have the best night ever. Say goodbye to 2018 and Ring in 2019 in style with this design by M. Brady Clark. Cheers!